The joy of 5 inch squares. Last year I had a brief period of time when I had some back issues that meant that sitting was not a fun thing to do. I decided that, seeing I could not sit at a sewing machine, I would cut fabric. For weeks I cut 5 inch squares out of my scraps and stash. The end result was hundreds and hundreds of 5 inch squares. Now all I had to do was find ways to use them. My first step was to make a pile of simple baby quilts for Project Linus which played with colour (please excuse the dodgy i-phone photos). This year I have got a little more creative with the squares, while still keeping it simple. 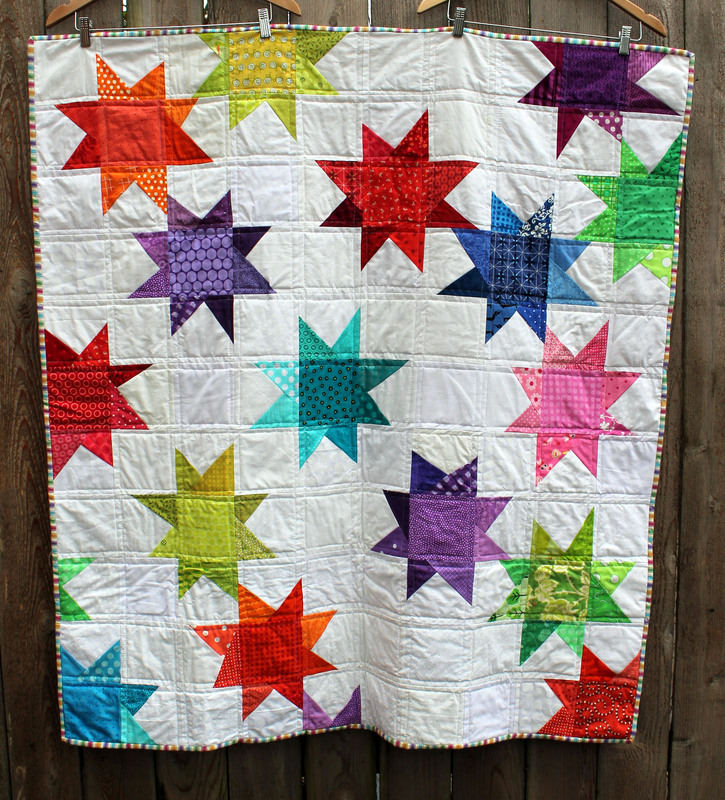 First I used the squares as the basis for my wonky star quilt which you can see here. I then used the left over bits and pieces of that quilt (plus some left over scrappy white squares) to make this. The 5 inch squares were used for the center pieces of the block, the background of the quilt plus I cut a number of the squares diagonally and used these triangles to make the star points. 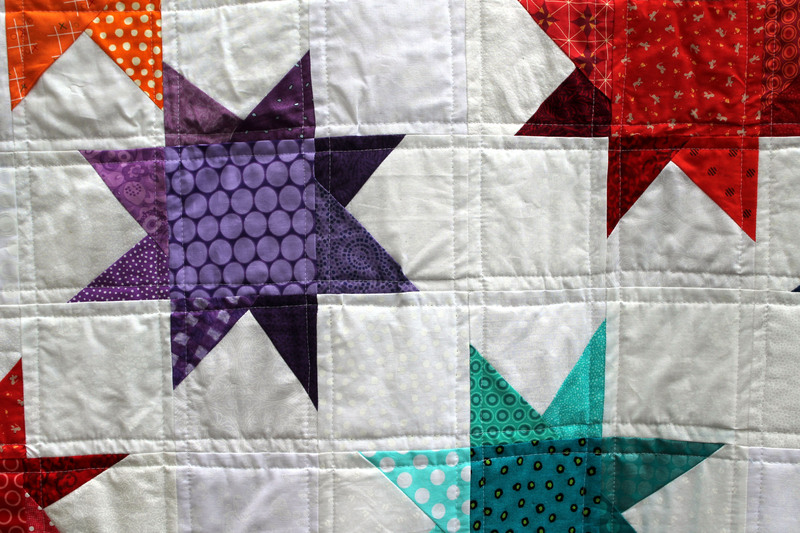 Wonky star quilts really are so ridiculously easy. The latest quilt I used my 5 inch squares on is my extra-large granny square quilt, which I have just finished. With this quilt I just lay the blocks down diagonally to make the pattern, sewed the blocks together then trimmed the extra edges and it was ready to go. Again ridiculously easy. With both these quilts I did a simple straight quilting, running down both sides of the “ditch”. 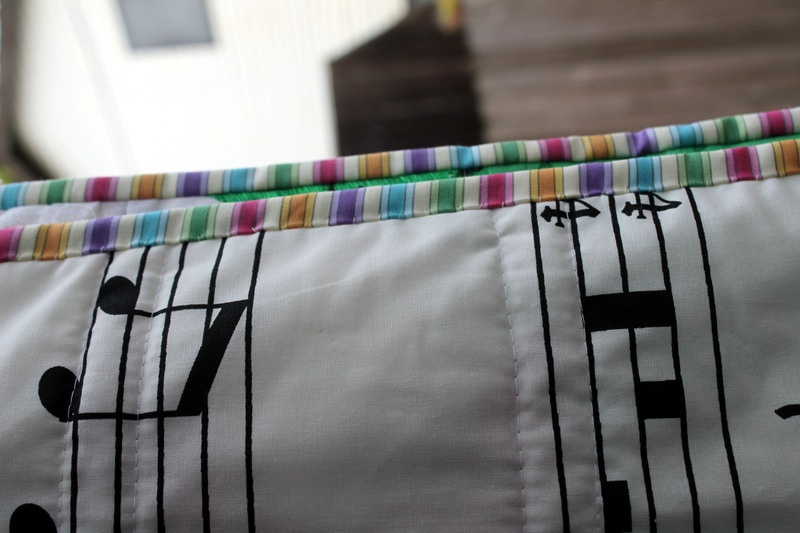 And for the wonky stars I went with a simple black & white music note fabric. What I love about Ikea fabrics is their width. You can easily piece larger kids quilts with one piece of fabric plus their prints are really fun. 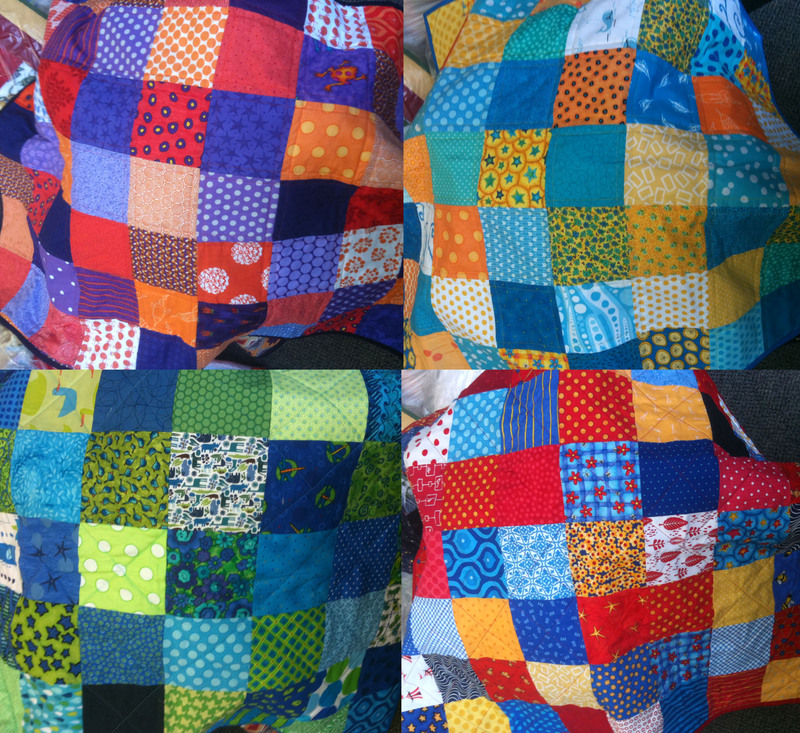 Both these quilts are now finally finished and ready for delivery this month to Project Linus. 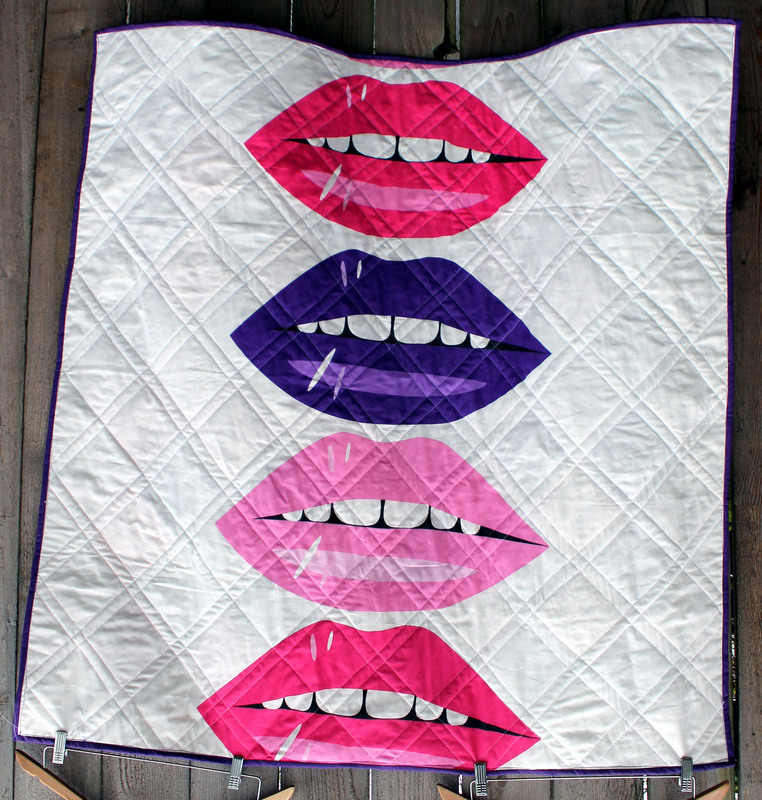 Awesome quilts, all off them! I love a good wonky star! 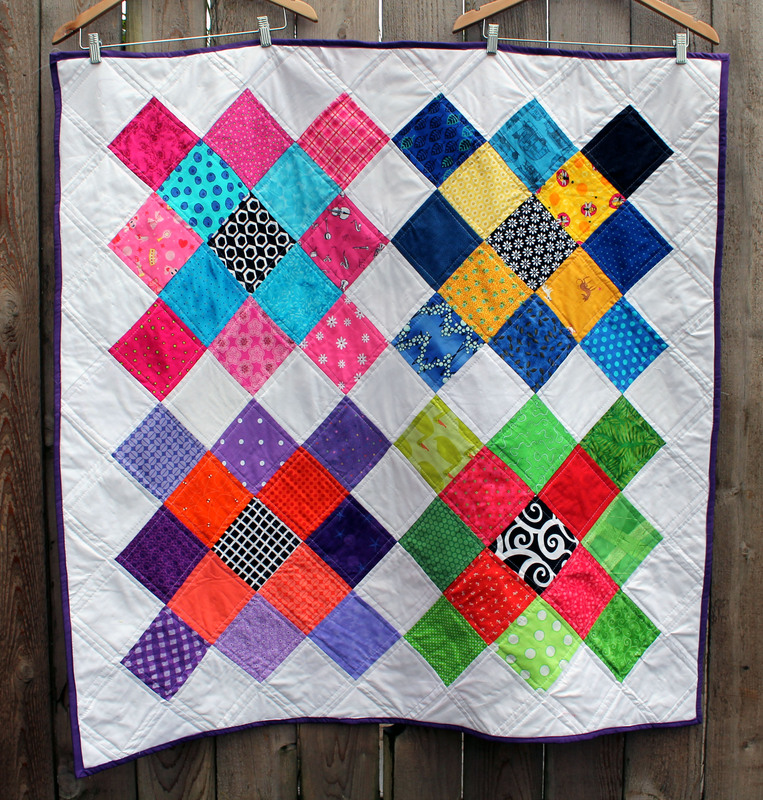 What bright, cheerful quilts. They’ll bring a lot of joy to the children who receive them (and their families, too!). I’m about to try wonky stars. I think they look simple but I tried to figure them out a year or so ago (without actually trying to make any) and couldn’t quite. One of Gwen Marston’s books gives directions with illustrations. They make sense now. I think the problem was transposing the positive for the negative spaces. We’ll see if I can make some fun ones! I don’t think you can go wrong with wonky stars. Good luck with it. I warn you it will be addictive! Love the idea of being productive, even when the body doesn’t cooperate. You’ve done great things with your five-inch squares, I’d say! And whoever gets those stars, will love the back! Too fun–that IKEA fabric is a hoot. And I peeked into your blog some more and really enjoyed what I saw, so I’m adding your blog to my Bloglovin’ list. Thanks for such a great blog! Thanks for your kind comment. I am new to all this but I am loving sharing my obsession.